Our Auto Giant car service and car repair centre in Brendale is equipped with the latest diagnostic equipment, and our trained technicians have over 25 years’ experience in the automotive industry. We will provide you with accurate information and quality workmanship to maintain your vehicle at its optimal level. We pride ourselves on uncompromising quality, excellent customer satisfaction and a passion for what we do. 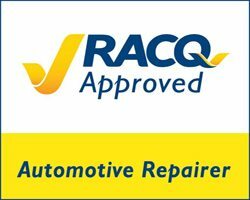 Auto Giant is also a RACQ Approved Repairer. With approval from such a reliable and trusted brand, you know we’re up to the job and will professionally service and repair your car to the highest standard. Our car servicing, car repairs, and maintenance services extend far beyond your standard car service offerings. We provide a fully comprehensive range of car services that cover every inch of your vehicle from the interior to the exterior, tyres, windscreen and more. We want to take care of your vehicle in every way possible, ensuring we are the only place you need to turn to for maintaining, enhancing and improving your vehicle. Find our full list of Auto Giant car repair and maintenance services below. Please note that these items are examples only and may vary between makes models. Maintenance is vital to keep your car running better for longer. Don’t have time to do those menial maintenance tasks? Let us do it for you. 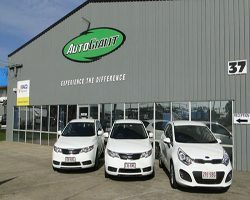 Some of the maintenance we will complete for you includes completing a comprehensive electronic diagnostic test at every service interval for peace of mind, checking and refilling your washer fluid, inspecting and replacement of fuel filters, engine oil, and oil filters and inspecting your tyre pressure including your spare tyre. We will also check your brake fluid, transmission fluid, power steering fluid just to name a few. Is your car running rough? Or maybe it has broken down and you’re not sure what the problem is? Let us investigate, find out what’s wrong and repair the issue for you right away. We’ll get your car running right again whether it be repairing or replacing of your brakes, ignition system, electrical system or fuel system – we can do it all! 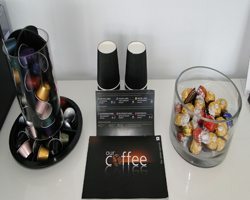 We also offer complementary vehicles while your car is being serviced, making it easier for you! Our Brendale car and truck service centre is large and well equipped with all the diagnostic equipment to service your vehicles. Whether you have 5 or 150 cars to maintain, allow Auto Giant – a trusted, respected and proven business to repair and maintain your vehicles to your specific needs. We also offer mobile servicing for your convenience, and we will be able to help you out with the highest quality service, at fleet pricing. With many large fleet companies in our fleet programme already, you are in good hands at Auto Giant group. Auto Giant is an approved installer for suspension airbags. These products will help your car stability, correct your towing angles and support your tow ball weight. We are also a reseller of the product and can help through the whole process from sales to fitment no matter what your needs are. We believe that your safety is paramount when towing, that’s why we can advise you on the best solution for your vehicle, with over 26 years of experience in suspension and over 100,000 hours of hands-on experience, you’re in good hands to make a confident decision for you and your family. If your vehicle is pulling to the side while driving, the steering wheel is hard to turn or your car is bouncing up and down after going over a bump, these are a few tell-tale signs that there could be a problem with your suspension. Let us investigate and repair your suspension to keep your vehicle safe on the road. If you are looking to lift your 4×4 vehicle, we sell suspension lift kits for all makes and models, we can also lower your vehicle for that car show look that you have always wanted. We are very experienced in this field with a background in motorsport we will make sure you get the right product for the right situation for you. We also conduct suspension sales for both standard and 4X4 vehicles. Is your air conditioner not working or perhaps it’s not working as well as it should? A number of problems could cause this, such as a failed blower motor or a clogged filter, or low refrigerant levels for example. You can count on us to find and repair the problem and improve the airflow in your car so that you have air conditioning that’s like new again. Making sure you are keeping cool in your vehicle. Come to us for all your electrical car repairs. It’s always important to leave electrical repairs up to the professionals – never attempt to fix any electrical problems yourself due to the sensitive nature of new modern vehicle wiring and computer systems. Experiencing problems with your brake or clutch? If you seem to be putting more pressure on your brake pedal than you should to stop your car, perhaps your brake pads are worn and need to be replaced. If you’re hearing excessive clutch noises, your clutch drags or fails to release; there could be a number of causes behind the issue. Allow us to investigate and fix it for you. Need a new battery in your car or perhaps you need to complete a car battery service? Count on us to take care of all the essentials and make sure your car battery is in good working order. Whether you have a new or growing family, keep your children safe in the car by turning to us to correctly fit child restraints into your vehicle. We can also approve any modifications made to your car to ensure they meet current standards and expectations – keeping your family safe. If your car is running hot and steam is coming out the hood of your car, there’s probably something wrong with your cooling system. Your coolant system prevents your engine from overheating by circulating coolant around the engine. We will flush your radiator, service your cooling system and apply any repairs when required to stop your car from overheating. Diesel cars and trucks tend to have their own set of problems, and we are more than capable of handling them. We can repair all types of vehicles that run on diesel from vans and four wheel drives to utes and trucks. The engine is the heart of your vehicle, so you need to take care of it to keep your car running properly. If you have an older car, engine reconditioning is a worthwhile maintenance measure to improve performance and extend the lifespan of your vehicle. Electronic fuel injection needs to be working to deliver fuel to an engine correctly and allow your car to run. Any problems with your fuel injection are usually noticed when your vehicle is hard starting, stalling, surging or misfiring. Allow us to run a full diagnostic of your electronic fuel injection if you experience any of these problems with your car and we will repair the issue if needed. Whether your exhaust has been damaged and needs to be replaced or you need a car repair for your exhaust, we take care of any problems you encounter. Lost your keys? We can replace them for you! We can cut and program keys that suit most cars currently driving on Australian roads. Whether you lost your car keys or just need a spare, we can help! You should always have 2 operational sets of keys for all late model vehicles. If you only have 1 set and you lose them, it will be a very costly repair because the computers need to be replaced and the whole immobiliser system needs to be replaced. Don’t let this happen to you! All vehicle manufacturers have set service intervals to adhere to so you achieve the very best performance from your car. Allow us to take care of your vehicle when it needs it and enter the required details into your logbook. Auto Giant is an approved provider of modification plates. A modification plate ensures your vehicle has been modified in a manner that is safe and roadworthy. We will inspect your vehicle to make sure it is up to standard, ensuring none of your modifications can cause you no harm. Are you looking to buy a new car and want to make sure it’s safe? Or maybe your current car is getting old, and you want to ensure it’s still safe to drive on the road? Come to us and we will perform a safety check and issue safety certificates for your car, caravan, truck or trailer. You may encounter steering problems such as road wandering, no recovery or over-steering problems. Steering concerns can have a number of causes such as loose steering linkage, worn bearings or unequal tire pressure just to name a few. Let us find out the problem and have it repaired for you before it causes serious issues for you on the road. We perform a range of repairs on all types of trucks from flatbed trucks and tow trucks to heavy duty trucks such as tip trucks and refrigerator trucks. We also fix up trailers including utility trailers, boat trailers and livestock trailers. Looking to buy a vehicle but want a thorough inspection of the car before you buy? Arrange to bring it into our Brendale car service shop and we will let you know exactly what state the vehicle is in and if it is roadworthy. Can’t get to us? No problem! We can get a mobile service unit to inspect your vehicle on site for you! No need to go to a tyre shop to fit new tyres to your vehicles. We stock leading tyre brands right here to fit to your car. Stay straight and steady on the road by receiving a balance and wheel alignment. You will be surprised how much difference a wheel alignment and balance will make to your vehicle’s performance while driving. Is your windscreen cracked or chipped? You might not be aware that these days, car and truck manufacturers have made the windscreen a structural part of the vehicle so even if the glass is only chipped or cracked, this could result in the vehicles structural integrity being comprised. Let us fix it for you no matter how large or small the chip or crack may be. We have many loan cars available for our customers. However, you must make a booking to secure a vehicle for the day. Enquire about our loan car service when you book a service and car repair with us and we will ensure a loan car is available for you on the day. Whether you live in Warner, Cashmere, Albany Creek, Bridgman Downs, Carseldine, Aspley, Bracken Ridge, Strathpine, Eaton’s Hill, Bald Hills, McDowall, Samford or any other suburb on the north side of Brisbane, the best mechanics in the trade are right here at your doorstep in Brendale. Turn to Auto Giant in Brendale for superior car service and car repairs. Thanks to our fully comprehensive service providing you with all car services and repairs imaginable and more, you will be driving away in your vehicle as if it were new again in no time. Call us today on 07 3881 2900 to book your next car service with Auto Giant. Bookings are essential for all loan car availability.